Tecnatom’s mission is to ensure the safe, efficient and excellent operation of energy and industrial plants. We help to improve the safety and efficiency of our clients’ plants. Tecnatom’s vision is to be an international company and sector leader, recognised for its technology, professionalism and the morals of all our members. It aims to financially and economically solid while also being an attractive workplace for professional development. We want to be a leading and internationally recognized company, both for our technology and our professionals. Our action and conduct criteria for both decision making and management are based on our Code of Conduct. A company that aims for success has to have and maintain the trust of its shareholders, clients, suppliers, providers, third-party contractors and of the community in general. This trust is based on the integrity and professionalism with which its business activities are undertaken by each and every employee. Tecnatom has produced a code of conduct document which is a behavioural and attitude guide for all company personnel to follow, which must be strictly complied with and adhered to. This Code of Conduct establishes our guiding principles for management and decision making actions and conducts in order to achieve our goals within our interested market areas. It also includes important standards to follow in relation to Human and Worker Rights, the Environment and Nuclear Safety, among others. The Tecnatom Group has fully committed to the tenth principle of the Global Compact (a global initiative legislated by the United Nations) ruling that “companies must commit to combating corruption in all its forms, including extorsion and bribery”. The total rejection of all forms of corruption, both direct and indirect.. The drafting and application of a programme fighting corruption which is defined in the following document. The commitments made by the Tecnatom Group means the general principles indicated need to be met by both Tecnatom’s employees and Directors, who are obliged to act with full integrity, transparency and fairness when carrying out their functions. The same applies to all other parties, individuals, legal entities, groups, organizations or institutions that contribute to the meeting of business targets or which are involved in the activities or business carried out by the company. 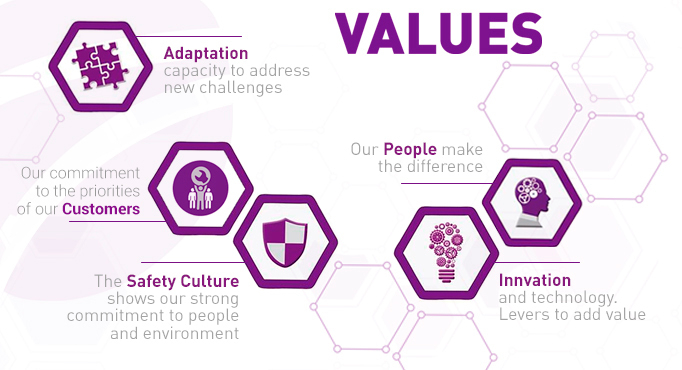 Tecnatom Group employees commit to acting with integrity, transparency and fairness when carrying out their functions.